More than 4,000 Gentiles converted to Judaism in Israel last year, according to government statistics. The data was announced at a weekend event sponsored by the Conversion Authority of the Prime Minister's Office. A total of 4,239 people made the seminal change in their lives, including 1,936 people from countries in the former Soviet Union, and 1,647 who were from Ethiopia and other African nations. The remainder hailed from a variety of Western, Middle Eastern and Asian countries. Judaism's newest "members of the tribe" had completed government-sponsored conversion classes and had passed the various tests that enabled them to join the Jewish People, a process that is considered quite rigorous and to which most converts dedicate several years of their lives to completing. Included is an oral examination before a Rabbinical Court comprised of a panel of three rabbinic judges. The rabbis closely question the potential convert's intentions, as well as his or her knowledge of Jewish laws, rituals, traditions and history. It is customary for the candidate to bring with him or with her a sponsoring family or rabbinic adviser, who is also questioned by the rabbinic panel. 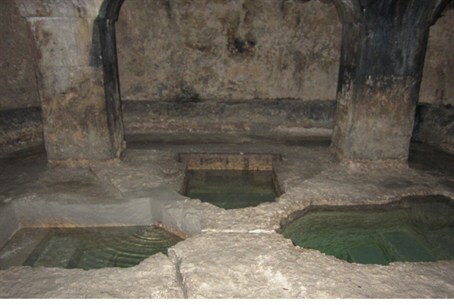 In addition, a convert must complete the Halachic (Jewish legal) process of immersing in a mikvah, the ritual pool of purifying waters. Male converts must also under brit mila - circumcision; those who are already circumcised must nevertheless undergo a symbolic form referred to as “tipat dom” (a drop of blood) as well. Under the Law of Return, anyone who can prove through documentation that they have a minimum of one Jewish grandparent on either side of the family, regardless of whether it is in the matrilineal or patrilineal line, is eligible to make aliyah. This does not make one Jewish under Torah Law (“Halacha”), however, which states that Judaism is passed solely through the matrilineal line: that is, only one born to a Jewish mother, who was born to a Jewish mother, is considered halachically a Jew.